For a race that lasts for 21 days, and in which those who cross the line on the Champs-Élysées, it is a testament to the race organizers that the final Pyrenees mountain stage and the final time trial yielded some podium drama. So what are my observations as a viewer? Let’s break it down, shall we? First, Peter Sagan is a beast. Solidifying his 6th Green Jersey as the points champion yet again, he collected 3 stages and put the Green jersey out of reach well before Paris. 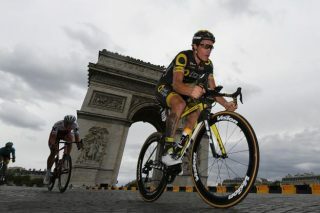 Despite a nasty crash in the Pyrenees he soldiered on, despite “the worst day of my life on a bike” during Stage 19, and even though he didn’t win every sprint stage he was there in the mix for all of them. But Sagan was able to survive, which is more than can be said for his pre-race closest competition. Michael Matthews, Mark Cavendish, Marcel Kittel, and Andre Greipel were all out by Stage 13. 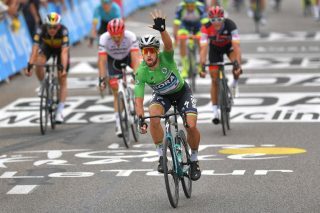 And his in race competitor Fernando Gaviria, who bested Sagan early on, as well as Dylan Groenewgen, who also managed to sprint stage wins, were both Stage 12 withdrawals. And despite the depleted roster of sprinters remaining on the Champs Elysees, it was an all out fight with Alexander Kristoff holding off John Degenkolb for the victory. That’s right, the French may not have won the race, but they had plenty to cheer for! Julian Alaphilippe was looking dapper in polka dots as the King of the Mountains, Pierre Latour was resplendent in white as the Best Young Rider, Romain Bardet and Warren Barguil showed very well, but the old man Sylvain Chavanel showed he still had the legs to inspire his countrymen. Cheered on for the 18th time in a Tour de France the 39 year old didn’t win Stage 2 or Stage 10, but he attacked! And that Stage 2 breakaway saw him holding off the field for 132km! Cheers Chavanel, cheers to the man the field had enough respect for to let him away to lead them onto the Champs Elysees for the final time as a sort of retirement procession! The magic of wearing the yellow jersey is still alive and well. While wearing the jersey BMC’s Greg Van Avarmaet went on the attack several times, including a vicious attack towards the end of the carnage over the cobblestones during Stage 9, which saw the end of his team leader Richie Porte’s tour. Though he only held the yellow jersey for a short time Van Avarmaet was not put on the defensive at all, in fact he was one of the more aggressive yellow jersey wearers in recent memory. 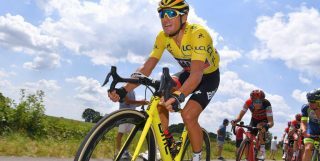 Meanwhile, the man who followed Van Avarmaet in yellow, Geraint Thomas, held it all the way to Paris still working for Team Sky’s leader four-time Tour de France winner Chris Froome until Froome couldn’t go and Thomas could. Thomas was by far the strongest rider in the tour this year and he earned every second of his 1 minute and 51 second lead. In fact, more astonishingly there was no Team Sky controversy between the two teammates. Unlike the controversy surrounding Astana many years ago in 2009 when Alberto Contador attacked then team leader Lance Armstrong to win the tour amid team tension. 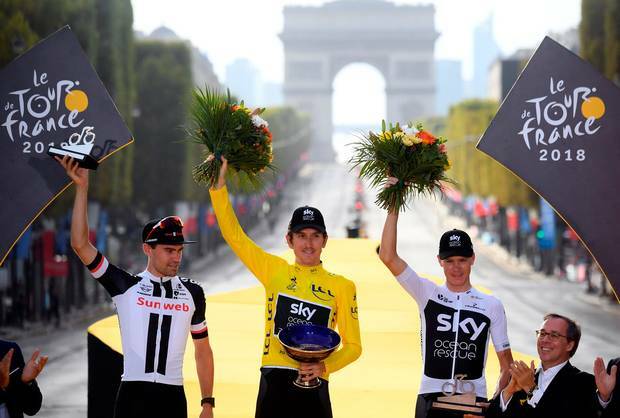 While Thomas will be wearing Yellow at the top of the podium and Froome will be standing on that same podium in third, Team Sky worked very hard to get them both there. They played defensively until they couldn’t and then they attacked. Egan Bernal and Michal Kwiatkowski shouldered much of the load up into the Alps and Pyrenees and the two podium finishers owe a lot to those two and the rest of the team as well. 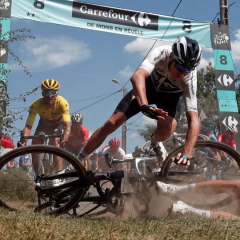 But they were also attacked from former teammate Mikel Landa in the Pyrenees, and while the attacks were fended off, they did crack Froome and make for some compelling climbing from the Yellow jersey combatants. There are two riders with stories from this year’s Tour that you need to read more into. 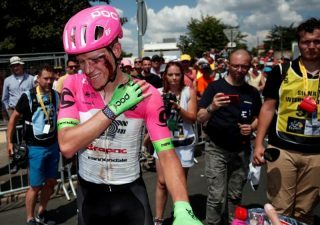 First, Lawson Craddock who broke his shoulder during Stage 1, ended up finishing the tour with that injury and raising money in the process. The second is John Degenkolb, who overcame an almost career ending injury to return to the world of professional cycling and take the victory on Stage 9. I applaud the race organizers for adding a flat stage in the middle of the Pyrenees, which gave rest to some of the yellow jersey contenders and made for a much more energetic battle in the final mountain stage of the tour. If the result of a flat stage before the end of a series of mountain stages results in that kind of racing, I’m all for it. Though some have criticized this decision, I am not one of them. 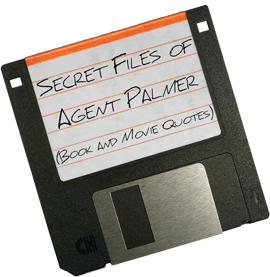 While it has been widely reported that this year’s tour had less than stellar ratings, I found it to be one of the more entertaining tours in recent memory. Perhaps cycling just can’t grow any more viewership? Or perhaps the early stages overlapping with the World Cup took some fans away, which seems plausible as one of the reasons. No matter the reason, I’m sorry for those who didn’t tune it. This year was entertaining and I’ll be sure to tune in again next year.